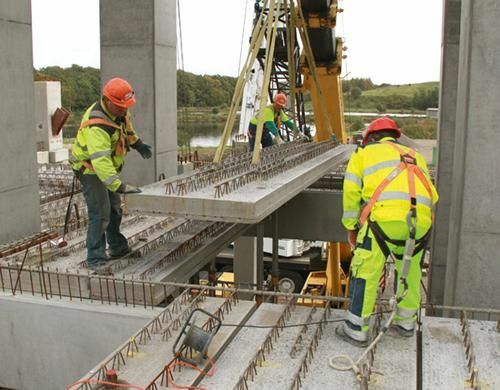 According to Przemysław Borek, the CEO of Pekabex, the largest Polish producer of reinforced concrete prefabricated elements, prefabrication makes up less than 1 pct of residential construction in Poland. And we are not talking here about entire buildings, but individual elements – such as the staircases, balconies and ceilings. The number of entirely prefabricated buildings is even rarer. According to the data of the Polish Central Statistical Office [GUS], in 2016 only 247 units (less than 0.2 pct) were built using the large-panel or large-block method (out of 163,300 apartments). The handful of attempts to reintroduce the extinct prefab species include two buildings developed by Polnord in Gdańsk, Budizol’s project on ul. Sprzeczna in Warsaw and Pekabex’s planned residential estate in Poznań. And yet this was once an industry that constructed four million flats across the country. Wary of the negative associations surrounding prefabs, developers and contractors often try to avoid being linked to this much-derided technology. This may be understandable, but the modern prefabricated residential estates in Scandinavia and the few buildings of this type on our turf don’t actually have that much in common with the outmoded blocks of flats built in the communist era. Their appearance isn’t really any different from those construction using traditional methods. According to Przemysław Borek, they are often even better in terms of their thermal or acoustic parameters. Modern technology has actually eliminated the defects that made large panels so infamous. And despite its tarnished reputation, prefabrication has slowly been making a comeback. It had seemed that the governmental Apartment Plus scheme to build affordable homes on a mass scale was going to be the spur for this. However, companies that specialise in prefabrication have ended up losing out in tenders for contractor services due to failing to compete with the much lower costs for traditional methods. One example of cheap prefabrication (PLN 2,150 per sqm) is the estate built by Sewaco in Skarszewy near Gdańsk. The TriCity-based developer uses its own system based on a reinforced concrete skeleton and lightweight walls without any reinforcement. However, the company has never used it in buildings larger than detached houses with more than two units. Meanwhile, the fate of the first prefabricated housing estate in Poland for 20 years, which was due to be built by Europlana and KB Dom (the Polnord group) under the Apartment Plus scheme in Pruszków on Warsaw’s outskirts, has now become highly uncertain. The state investor is unlikely to opt for prefabrication in this case. It has to be admitted that under Polish conditions the notion that prefabrication costs less is a myth. How profitable it actually is was unclear even in the 1970s, when large panels ruled the roost. The propaganda line of the communist regime was that this kind of production was cheap because it was reproducible. 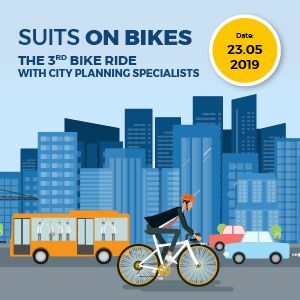 “However, nobody actually analysed the costs because the construction of buildings was state-controlled and apartments were allocated centrally,” explains Jacek Dębowski of the faculty of construction and construction physics at Cracow University of Technology. In his opinion, the reality is rather different. “Every large prefab element will be more expensive or cost a similar price than those produced on site,” he claims. Furthermore, in those days the transportation of the elements took place night and day and no one complained about the noise or such ‘details’ as the permission to travel or whether oversized vehicles should have escorts. Nowadays all these factors mean additional costs. More important than that, however, is the fact that the developer has to factor in the cost of using heavier and more expensive cranes than with traditional construction, and that the price of this is also affected by the costs of the plant manufacturing them, including the taxes and land rent. The situation is a little different in industrial construction. This is partly due to the fact that the elements used there are larger. For example, a structural column that would have to be made on a traditional site for three days (along with the wait for it all to set), can be assembled right away and you can add more elements to it. The time savings are huge. 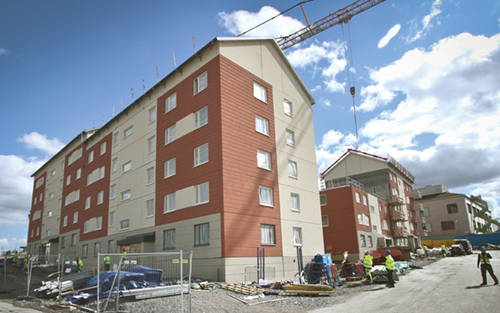 Pekabex, which builds more than 1,000 prefabricated flats per year on the Scandinavian market, generates even more revenue (over PLN 150 mln) from domestic prefabrication, but here it mainly builds production and storage halls, shopping centres, office buildings and industrial infrastructure. 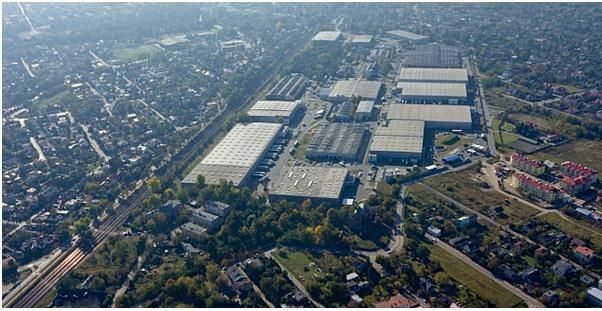 Its most recent contracts in Poland include the construction of the Panattoni Park Białystok logistics park, the LG plant near Wrocław and the Hosso shopping centre in Świebodzin. Prefabrication was once used in the office sector by Belgian developer Ghelamco. And although it still uses this technology on the domestic market, its latest projects in Poland use traditional methods. This is due not only to the considerable costs associated with this type of construction but also the logistical difficulties. A company representative explained to us that the transit of huge prefabricated items into city centres requires the use of large vehicles that block the traffic and make life difficult for the users of neighbouring buildings. Furthermore, the commercialisation (pre-leasing) of a building is crucial in the office sector, and so intensifying the pace of construction is often of little value. Traditional construction methods have since improved so that construction work can continue even when the thermometer falls well below zero. This eliminates one of the other basic advantages of prefabrication. There are not so many examples of prefab office construction. The Olivia Business Centre in Gdańsk still remains the flagship project in this field. One of the buildings of the complex is currently under construction – Olivia Star, the tallest building in northern Poland, which reaches a height of 180m including the spire. The fact that the investor, Maciej Grabski, is also the majority shareholder of Pekabex is presumably not uncoincidental to the choice of the technology used. Last year, Prime Minister Mateusz Morawiecki announced that tens of thousands or even 100,000 more apartments could be built in Poland every year under Apartment Plus. This would mean increasing the annual supply from the current 170,000 up to 270,000 and would bring the domestic market closer to the record year of 1978 – when 283,600 apartments were completed. Is it possible to get back to such a rate without rediscovering prefabrication? 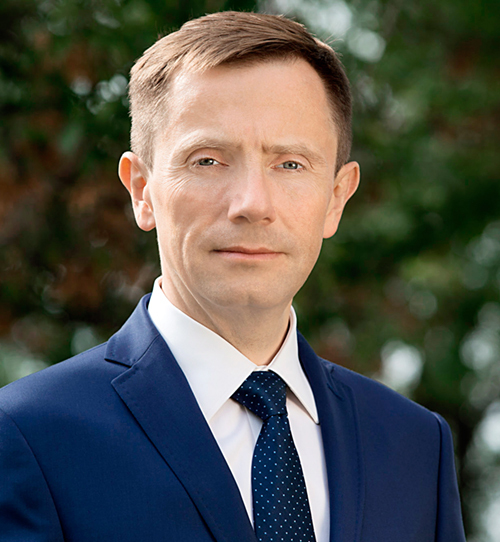 Grzegorz Muszyński, the board member of state-owned bank BGK Nieruchomości responsible for the commercial part of the scheme, believes that using prefab technology to carry out the Apartment Plus programme will sooner or later become necessary. However, he does not expect preferences to be established for prefabrication prior to tenders taking place. “We must do it well and relatively cheaply. Without forcing anything,” he insists. Anyway, there are not enough resources in Poland for the introduction of large panels on a scale comparable to half a century ago. At that time, over 160 large-scale production plants – fixed or on-site – were operating throughout the country. These days, however, the companies that manufacture reinforced concrete elements could be counted on the fingers of one hand. Even if the largest constructors and developers, such as Pekabex, started to build 2,000 flats in Poland a year (thus doubling their overall output) and by some effort other companies managed to add another 2,000, it would still be a drop in the ocean in terms of what the government needs. “It takes about a year to build a prefabrication plant and it takes another year, if not one and a half, to reach certain production levels,” explains Przemysław Borek. In order to reduce costs, BGK Nieruchomości has been shifting its focus onto standardisation. A catalogue of prefabricated panels is to be drawn up this year, with which architects will be able to design houses for the Apartment Plus scheme. In theory, it will make life easier for producers to manufacture items – and not only for specific orders, but also to stock up with for future orders if there are any surpluses. Developers will also be able to choose ready-made items stored in warehouses if necessary. In the 1970s, similar mechanisms were used for the mass production of large-panel buildings. So when will the first fully prefabricated building be constructed under the government’s programme? “I suppose that the construction work will start next year,” says the board member of BGK Nieruchomości. He emphasises, however, that prefabrication is already being used, although to a limited extent. “There are actually no new buildings that do not contain any prefabricated elements, such as those used to make the stairs, ceilings and balconies,” argues Grzegorz Muszyński. He also stresses that the name of the game is primarily the pace of construction. “Every project carried out using traditional methods takes around two years. The more prefabrication in the building, the shorter the time. With full prefabrication we can even get this down to nine months,” he points out. Although the cost of three-layer prefab concrete walls is off- putting for the state-owned investor at the moment, it is possible for cheaper prefabrication methods and materials to be used. “If we fail to lower our prices, then it’s possible that we could consider going down the same road as the Finns or Danes and opting for lighter prefabs using wood,” suggests Grzegorz Muszyński. According to BGK Nieruchomości, the usage of modern large panels is only going to grow. This is mainly being dictated by increased salaries in construction. According to Randstad’s latest survey, 38 pct of employers in the construction industry predict that they will be forced to increase salaries further over the next six months – and not one of them expects wages to fall. This is the highest such figure in the three years the company has been conducting this kind of research. The pressure on salaries is likely to increase even more when road and rail projects, supported by app. PLN 200 bln from EU funds, are in full swing. “Whoever builds faster is going to win out – and in this respect, prefab technology will give a builders a crucial edge,” stresses Grzegorz Muszyński.